Class 315 EMUs were built by BREL at York from 1980-1986. 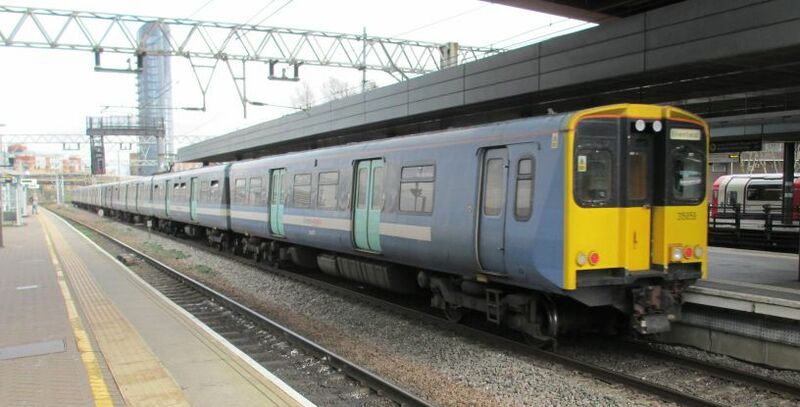 Class 315 4-car sets are constructed from steel and are designed for inner suburban services. Class 315 4-car-sets have a maximum speed of 75 mph. 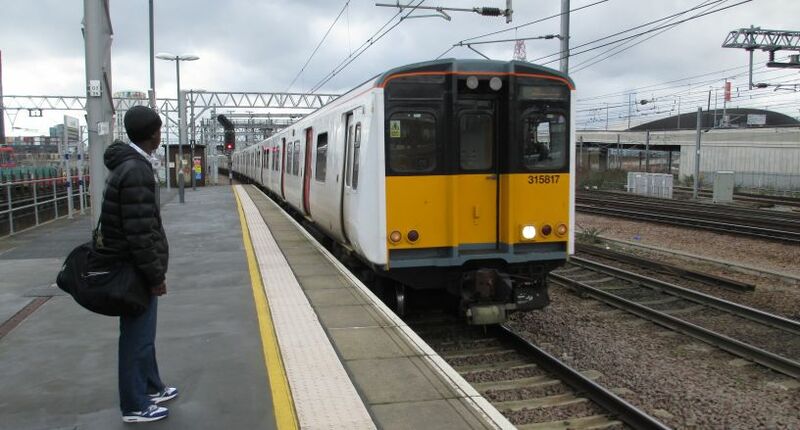 Class 315 units are operated by Greater Anglia trains. 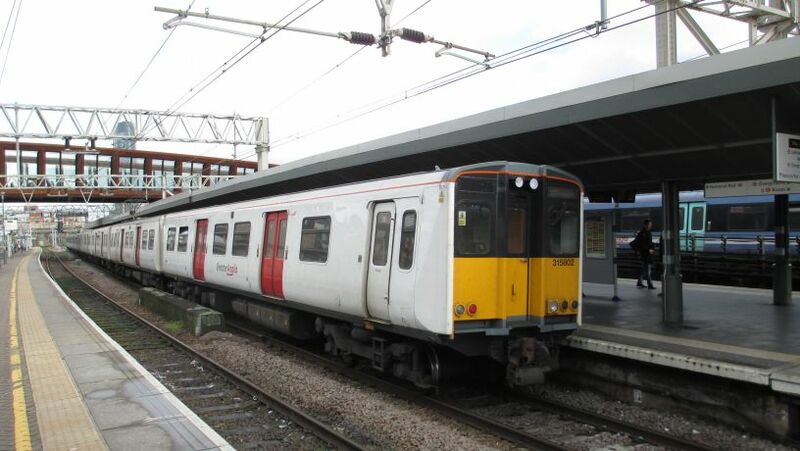 Carriage 64557 from EMU unit 315849, showing the Greater Anglia use of livery of "One" metallic grey with a black bodyside stripe? and white National Express "interim" stripe as branding. Grey-blue and no black stripe? 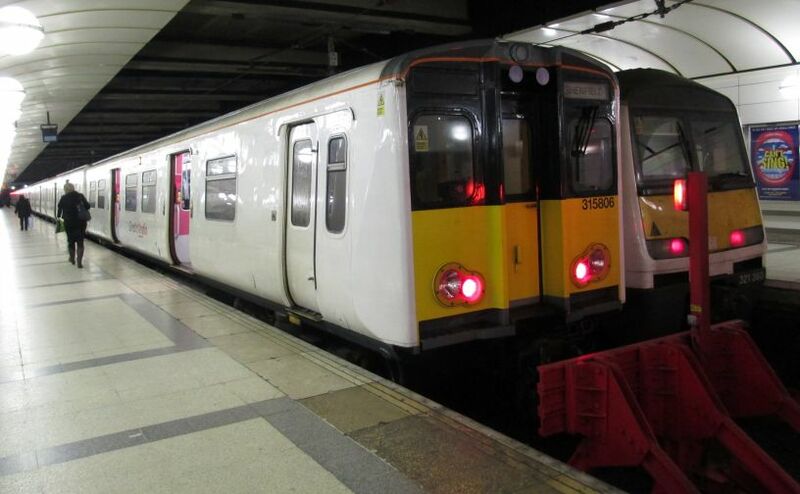 Class 315 802 (EMU unit 315802) at Stratford staion, the Greater Anglia carriage livery of white and red doors, apart from yellow driving cab front. Class 315 EMU unit 315817 entering Stratford Station with an east-bound Great Anglia train. Carriage 71313 from EMU Class 315 car-set 315833 in the Great Anglia livery.